We’ve all been anticipating the design of Vancouver’s next SkyTrain expansion project. Having a better method of travel would make everyone’s days so much more convenient. Can you imagine an easier way to get to UBC? We’re certainly excited for the new additions. But the biggest question is, how will the project make travel more convenient? Where will the stops be placed this time? With a bit of research, we’ve found the answers for you. Phase 1 of the plan will begin construction along the Broadway Corridor and will be connected directly to the Millennium Line. Finally, the Line will go beyond VCC-Clark Station. We are just now finally beginning to see the planning move forward. From what we know, Phase 1 will see the construction of six new underground stations along the Broadway Corridor. The Great Northern Way Station will be the first station after VCC-Clark with Phase 1 ending at Broadway and Arbutus Street Station. You can bet that with these new stations along Vancouver’s already busy Corridor, there’s going to be a lot more traffic and density in the area. We can only imagine what this will mean for traffic in Kitsilano. But right now the only concern I can think of is the question of how ‘Park and Riding’ will be handled in this residential neighborhood. The project’s estimate is $7.3-billion. Yikes! If you’re a driver, this is bad news. 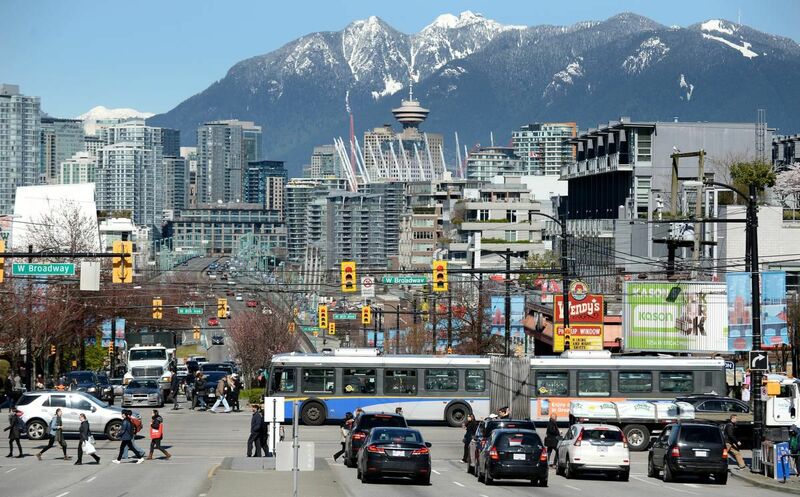 Translink and the Metro Vancouver Council are hiking up prices to help fund the project. The new expansion will be completed in 10 years. Is it just me, or does this seem a little long? Some people have commented on trying to hasten the project, but when it comes to safety, you don’t want to rush things. But we have heard that construction could begin as early as 2019. 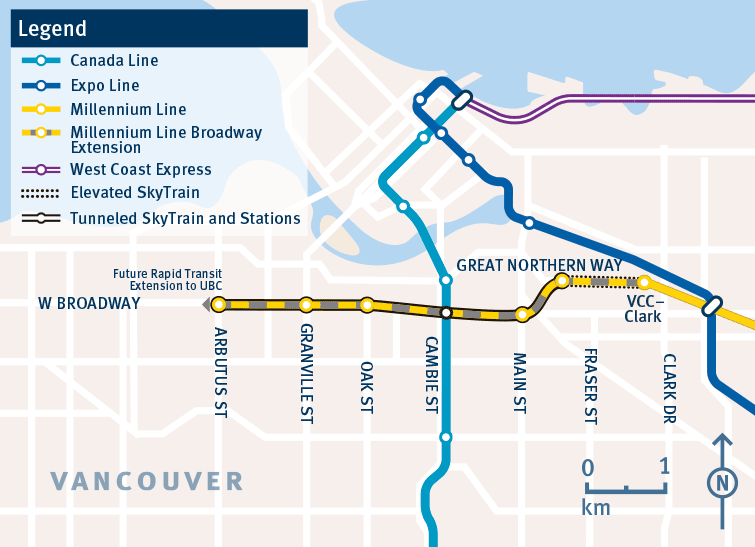 The first phase of the expansion will add 6 kilometers to the SkyTrain’s existing Millenium line from VCC-Clark Station. Just saying it doesn’t sound like much, but have you ever tried running 6K. It’s exhausting. Passengers will be able to travel a single ride from Arbutus Street to the Millennium Line’s eastern terminal at Lafarge Lake-Douglas Station in Coquitlam. The best part is that this trek is estimated to take only 47 minutes. The time from VCC-Clark Station to Arbutus Street will take only 11 minutes. This is half the time of what it would take by bus currently. What about Phase 2 of the project? We’ve heard that phase 2 will include an expansion all the way to UBC. Future off-campus students, your lives will be so much better. You won’t know the pain of having to wake up at 5:30 am to make it to an 8:00 am class and trying to stay awake for the journey so you don’t miss the connection. Past and current students are already envious.